The new and improved Bose SoundLink III is an excellent addition to the Bose Bluetooth speaker line and a pretty good upgrade to the previous generation SoundLink III but is it worth the high price tag? Read on Bose SoundLink III Bluetooth Speaker Review. The Bose SoundLink series are usually intended for a more mature crowd or sound enthusiast because the speakers are not super fancy and do not have all the latest bells and whistles so the majority of people who get the soundLink series are looking for sound. The Bose SoundLink III incorporates Boses traditional minimalist look, a solid quality feel with a nice slim and sleek body with almost the same dimensions as the previous gen soundLink II but slightly wider. The smooth edges and slim design give the speaker a good feel when you move it around. Although the Bose SoundLink III is fairly slim and sleek it is pretty heafty weighing in at 3.0 Pounds so it is not as portable as the Bose SoundLink Mini but moving it around the house or even taking it to a picnic once in a while is not an issue. The Bose SoundLink III does have that minimalist design aspect so you do have the basics with a regular aux port and a microUSB on the back which only functions as a firmware updater so you wont be able to charge any devices with it. The battery life is greatly improved to 14 hours from its previous generation which was only 8 hours. You also have your basic functions on top of the device which include your power button, volume & mute controls, Bluetooth pairing button. There is a nice row of LED indicator lights for Bluetooth, battery life, mute, and aux input. Like I said the Bose SoundLink III does not have any special features like speakerphone, its not to versatile and it certainly cant swim in the water, it is designed strictly for sound purposes so lets find out if its good at what it was designed for. So if you want a solid performing small size Bluetooth speaker and you have the cash to do so, I say why not? 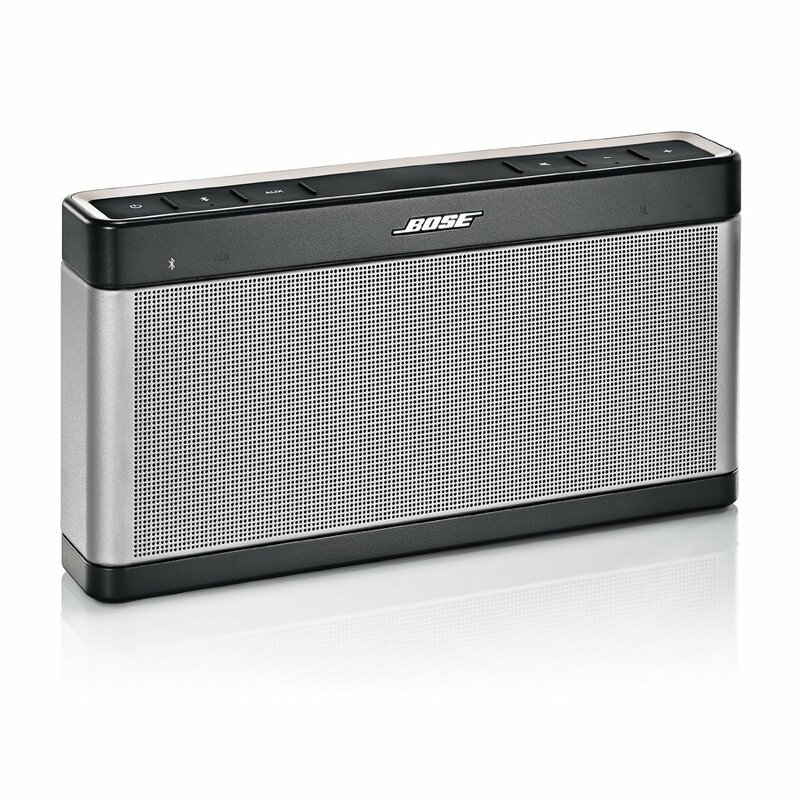 You really cant go wrong with the Bose SoundLink III. Characteristic Bose sound (although that will be a con for some). No USB charging or charging dock. Though it remains somewhat pricey, the Bose SoundLink Bluetooth Speaker III is a superlative portable wireless loudspeaker, improving on its already impressive predecessor.